"There cannot be a single witness who survives to tell what happened here." CJ Entertainment has released an impressive trailer for a war film titled Battleship Island, from director Ryoo Seung-wan. Set during the Japanese occupation of Korea in 1944, the film is about the 400+ Koreans that were conscripted into slave labor mining coal on an island known as "Battleship Island". They attempt to band together and make an escape. The main cast includes Hwang Jung-min, So Ji-sub, Song Joong-ki and Lee Jung-hyun. This looks like another strong anti-Japanese film from Korea - between this and The Age of Shadows, some Korean films these days seem to have a strong anti-Japanese agenda. The final scene in this trailer with the candles looks chilling, and I must admit most of this footage is better than expected. I'm curious about this. 1944, during the Japanese occupation of Korea, conscripted civilians head out to the Hashima island. Nicknamed 'The Battleship Island' after its resemblance to a war vessel, some are lured by false promises of high wages. Lee, a bandmaster of a jazz bigband and his only daughter, Choi, a thug, and Mallyeon are among the workers. But upon arrival, they found that the island turns out to be an isolated hell where the workers are forced into slave labor. As the Pacific War nears its end, Park, a Korean independence activist assigned on a mission to rescue a Korea's spiritual leader from the island. 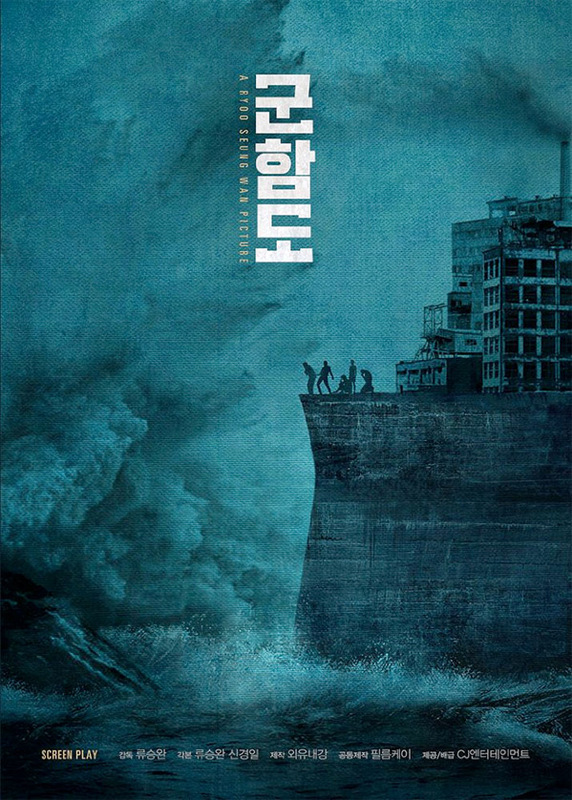 Battleship Island is directed by Korean filmmaker Ryoo Seung-wan, of Veteran, The Berlin File, The Unjust, and The City of Violence previously. CJ Entertainment will release Battleship Island in US theaters starting this summer. Stay tuned.